Wayne Gretzky, the great hockey player, said, “I skate to where the puck is going to be, not where it has been.” This quote certainly applies to Environmental, Social and Governance (ESG) and Socially Responsible Investing (SRI) investing. Are you skating in the right direction? 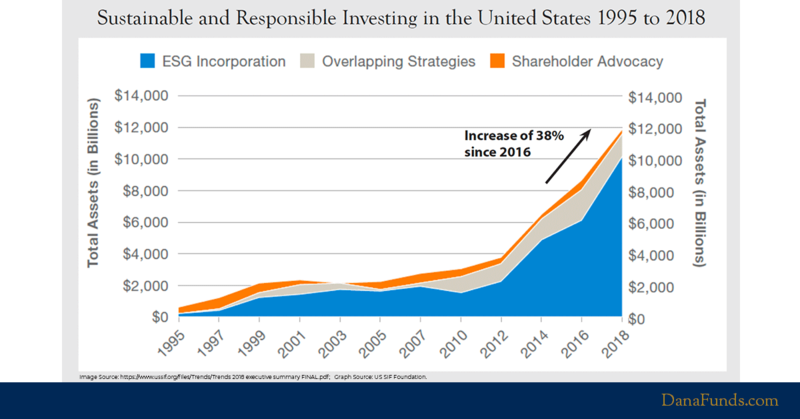 The total US-domiciled assets under management using SRI strategies grew from $8.7 trillion at the start of 2016 to $12.0 trillion at the start of 2018, an increase of 38 percent. This represents 26 percent—or 1 in 4 dollars—of the $46.6 trillion in total US assets under professional management. Consider this hypothetical, yet realistic, scenario. ESG, or Environmental, Social and Governance, investing has garnered much attention since the Global Financial Crisis. Increasing numbers of investors are striving to align their investments with their values, and many have sought-out various forms of ESG investment products in order to accomplish this. Despite early concerns that these investments would not keep up with traditional benchmarks, a wide range of reports1 have indicated that investing in sustainability has not only kept up with, but in many cases exceeded, the performance of traditional investments. 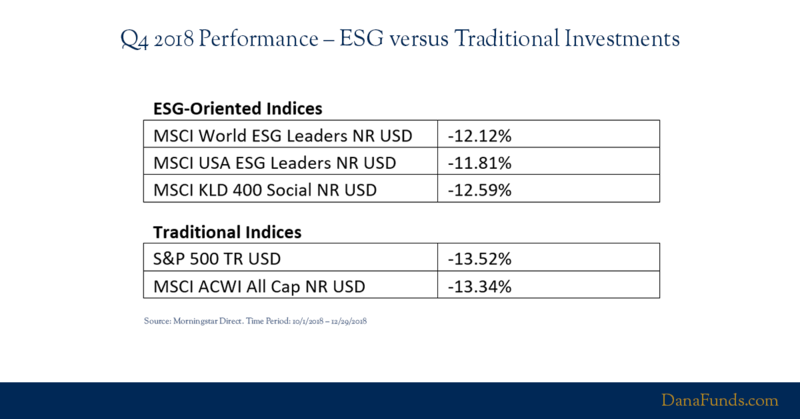 However, there has been one nagging concern that critics of ESG like to bring up: most of the performance being analyzed has taken place during a 10-year bull market. 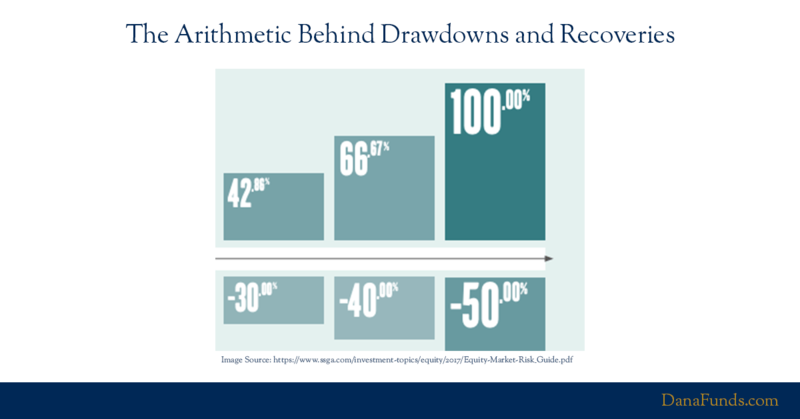 Sure, ESG has performed well recently, but what about when the market drops? This would surely prove that ESG investors are leaving something on the table by avoiding lucrative-but-irresponsible companies, right? 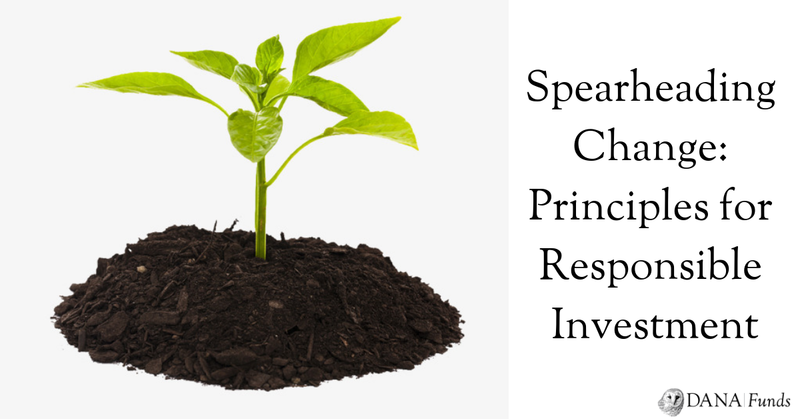 In late 2018, Fiona Reynolds, CEO of the PRI (Principles for Responsible Investment), delivered a speech at the G20 meeting in which she encouraged global policy makers and regulators to clarify the need for all long-term investors to incorporate ESG factors in their investment processes. In other words, she proposed that ESG factors formally be included as part of investors’ duties and fiduciary responsibilities. So what is the PRI and how is it having an effect on global ESG policy? The PRI is an independent organization working to define and encourage responsible investing around the world, with the mission to put sustainability at the heart of the capital markets. The principles themselves revolve around the practice of incorporating environmental, social and governance (ESG) factors in investment decisions and active ownership. Value versus growth. Small-cap versus large-cap. 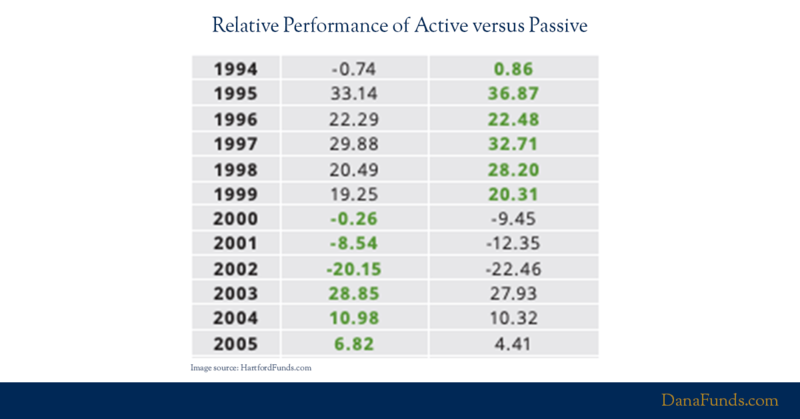 Active versus passive. 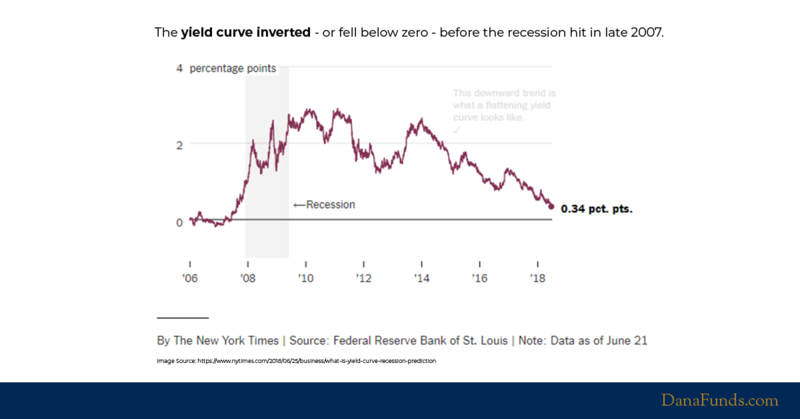 The equity markets are inherently cyclical, and sometimes a cycle can last for so long that it’s easy to forget the last time a certain factor or style was in or out of favor. 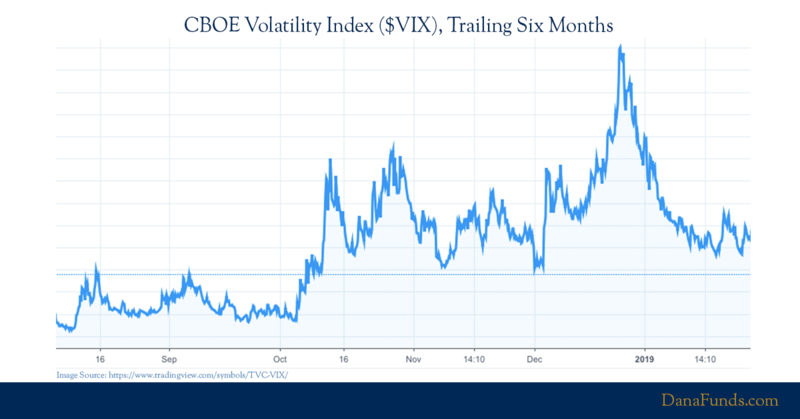 These days, it seems like the style that has been out of favor the longest is active management. Ready for ESG and SRI Investing? ESG (environmental, social and governance) and SRI (socially-responsible investing) investing have gone from buzzwords to very in-demand investment themes. 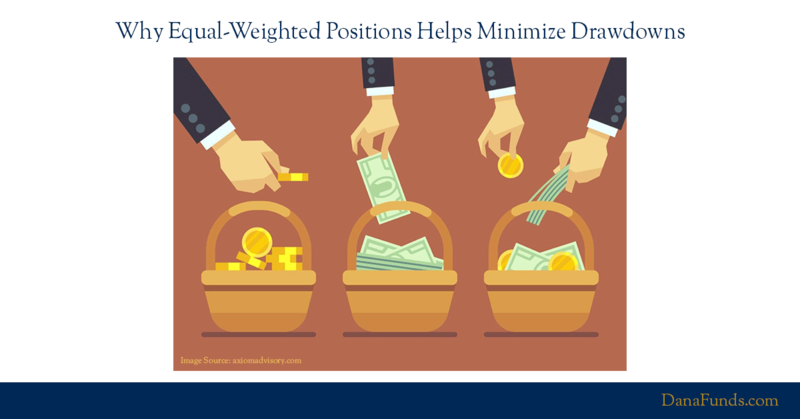 Indeed, an increasing number of high-net-worth investors are gravitating toward the idea that they can better align their investments with their values. After all, many of these same people are already incorporating sustainable practices in other areas of their life, such as food, energy, recycling, transportation, etc., so it’s no surprise that when it comes to their investments, everyone is talking about ESG and SRI. ESG (environmental, social and governance) and SRI (socially-responsible investing) investments are terrific ways to help clients align personal values with investments. Women and younger investors, both beneficiaries from a transfer of wealth, are driving strong demand and the number of ESG/SRI investment managers has ballooned in size over the past decade. 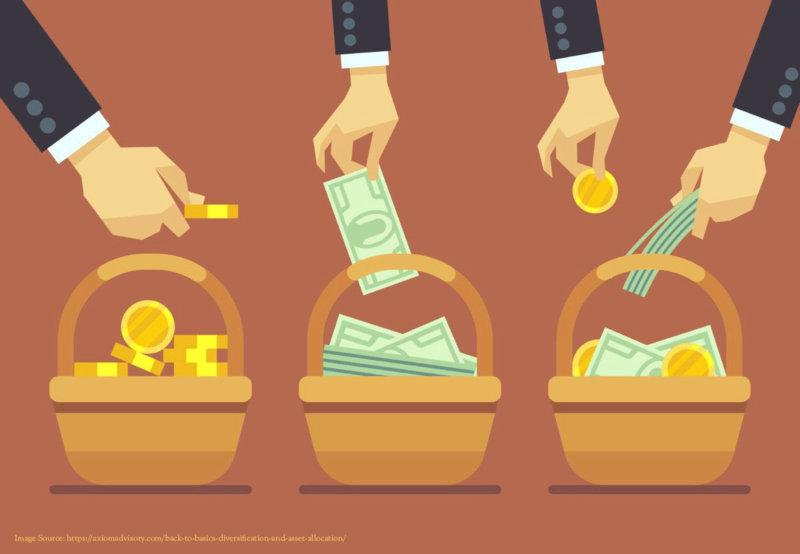 Those seeking ESG/SRI options now have a plethora of providers to choose from, which makes the process of vetting money managers that much more important. 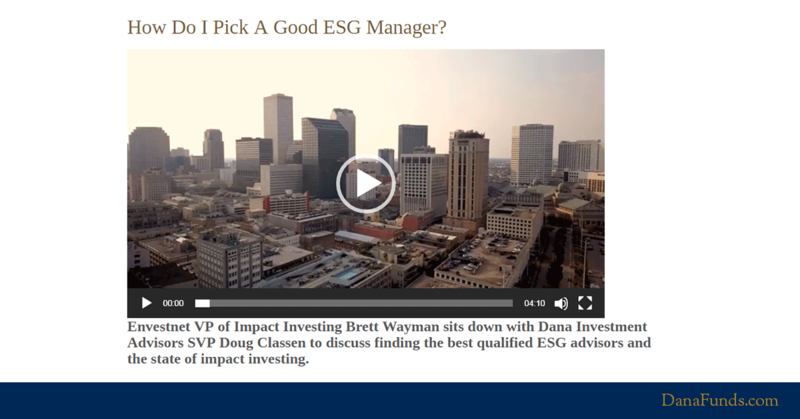 Envestnet VP of Impact Investing, Brett Wayman and Doug Classen, SVP of Dana Investment Advisors discuss how to research ESG/SRI managers, how to talk with current clients about ESG, and how RIAs can find new clients. Hint: have you reached out to the small institutions in your own backyard?